Mobile, AL. – Burr & Forman LLP announces that Mobile-based partner John Browning was recently elected to the American Board of Trial Advocates (ABOTA).”I am honored to have been nominated by my colleagues and now elected to membership into the American Board of Trial Advocates,” said Browning. “ABOTA is a great organization of world class trial attorneys from both sides of the bar and I am truly humbled.”At Burr, Browning is an experienced trial lawyer, having represented businesses and their insurers in cases involving personal injury, wrongful death, and commercial losses arising out of motor vehicle accidents, engineering and construction defects, work site accidents, product defects, dram shop & social host liability, negligent security, environmental and public nuisance, and general premises liability. 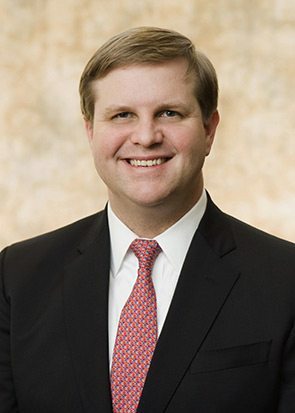 Having handled cases through jury trial and appeal, he is also asked to advise businesses on their risk management and insurance needs.In serving the profession, John is an active member of the American Bar Association (ABA), Tort Trial & Insurance Practice (TIPS) division, where he has been a vice-chair for various general committees, to include Self-Insurers and Risk Managers, Business Litigation, Litigation and Trial Practice, Toxic and Environmental Torts, and Products Liability. He currently serves as an editor for The Brief magazine and Tort Trial & Insurance Practice Journal, both publications of ABA-TIPS. John is also a proud member of the Defense Research Institute (DRI) and past young-lawyer President for the Alabama Defense Lawyers Association (ADLA).About the American Board of Trial AdvocatesThe American Board of Trial Advocates is a national association of experienced trial lawyers and judges dedicated to the preservation and promotion of the civil jury trial right provided by the Seventh Amendment to the U.S. Constitution. First and foremost, ABOTA works to uphold the jury system by educating the American public about the history and value of the right to trial by jury. For more information, visit the website at www.abota.org.About Burr & Forman LLPBurr & Forman’s experienced legal team serves clients with local, national and international legal needs. With particular industry strengths in the financial institutions, health care and manufacturing sectors, the firm’s attorneys draw from a diverse range of backgrounds and experience to serve as trusted business advisors and legal counsel to help clients achieve their goals. Burr & Forman is a Southeast, regional firm with 300 attorneys and 12 offices in Alabama, Delaware, Florida, Georgia, Mississippi, North Carolina and Tennessee. For more information, visit the firm’s website at www.burr.com.